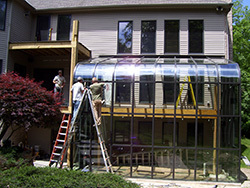 Arcadia GlassHouse is a manufacturer of high-quality residential greenhouses. Our standard and custom greenhouses are designed with architectural beauty, structural integrity, and energy efficiency. Arcadia GlassHouse greenhouses are manufactured with glass or polycarbonate glazing and supported by strong extruded aluminum frames. Arcadia offers custom designed greenhouses with turnkey installation as well as standard sizes for do it yourself construction. 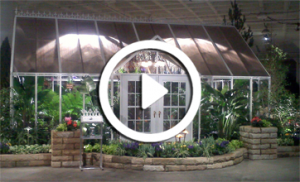 All Arcadia GlassHouse designs meet local building codes for lean-to and freestanding greenhouses. builders who have installed hundreds of greenhouses. We provide turnkey installation services with our own dedicated employees who travel all across the country building Arcadia greenhouses. Other greenhouse manufacturers may refer you to a dealer or local contractor for installation, but only Arcadia GlassHouse provides the knowledge and experience that comes from doing this as our full time jobs all year round. 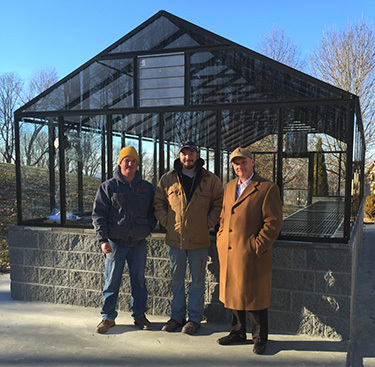 If you hire Arcadia to install your greenhouse, we will work with a local contractor to provide the foundation and utility services, then we will provide turnkey installation of the greenhouse with our own employees. If you choose to build your Arcadia greenhouse yourself, or with your own contractor, we’ll provide you with all the engineering drawings, installation instructions, and technical phone support you need. We stand behind our product as long as you own it. With our wide range of experience we have seen, built and renovated nearly every brand and style of greenhouse available. 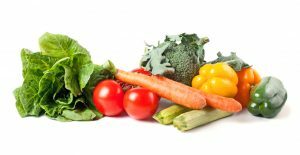 We know the strengths and weaknesses of them all, and we are proud to build Arcadia greenhouses with exceptional quality and value. Arcadia GlassHouse was founded by a horticulturist from The Ohio State University who started designing and building commercial propagation greenhouses in 1980. The demand for very precise temperature and humidity controlled environments for propagation of woody ornamentals led to innovative engineering designs for high quality, reliable greenhouses that were air tight and energy efficient. These design innovations are what makes Arcadia unique in providing exceptional growing environments with strong extruded aluminum frames. Arcadia now has its sales and service headquarters with a 10,000 sq. 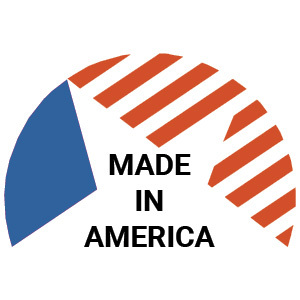 ft. state-of-the-art manufacturing operation in Madison, Ohio.